StriVectin-SD Review (UPDATED 2019): Don't Buy Before You Read This! StriVectin-SD is an anti-aging cream originally designed for use as a stretch mark minimizer, but has been found to work on visibly reducing the appearance of fine lines and wrinkles. The patented technology is said to penetrate the skin and deliver nutrients on a cellular level, enabling healing from within. In addition to minimizing stretch marks and signs of aging, the product is claimed to protect from environmental stressors and free radicals. The hydrating moisturizer targets collagen production to maximize anti-aging benefits and promote healthy, radiant skin. NIA-114: Also known as Myristyl Nicotinate, this patented molecule allows nutrients to deeply penetrate the skin and promote healing from the inside out. Shea Butter: Found in many anti-aging formulas, this natural antioxidant has superior healing, soothing, and moisturizing properties. Dimethicone: Silicone based, organic polymer that forms a barrier on the skin, sealing in moisture. It is easily spreadable, and leaves skin silky and smooth. Palmitoyl Tetrapeptide-7: Synthetic peptide compound that reduces skin damage and inflammation. 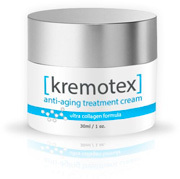 Research shows that it stimulates the regeneration of collagen. Palmitoyl Tripeptide-38: Also known as Matrixyl Synthe’6, a peptide derived from amino acids lysine and methione sulfone that regulates cell activity, wound repair, and restructuring of collagen tissue. Hyaluronic Acid: Natural glycosaminoglycan with exceptional skin moisturizing and healing abilities. Fills the spaces between collagen and elastin, replacing lost moisture and hydrating the skin. Citric Acid: Naturally occurring alpha hydroxy acid used in skin care products to adjust acidity, and promote skin healing and regeneration. Hydrogenated Vegetable Oil: Vegetable oil thickened by hydrogenation. Used in skin care products as a stabilizer and emollient. Can contribute to clogged pores. StriVectin-SD lists all its ingredients on their website, and many of the active ingredients are proven for their anti-aging properties. All StriVectin products are advertised as being paraben-free, and not tested on animals. One concern about the formula is the inclusion of some known irritants, like fragrant additives ginger root and cinnamic acid. There are also other filler ingredients like hydrogenated vegetable oil, which can clog pores and exacerbate acne symptoms. Another concern is that while users may initially see results, several of the ingredients, especially Palmitoyl Tripeptide-38 (Matrixyl Synthe’6), have only limited research to back them, and the long term effects on the skin are not yet known. StriVectin-SD has been tested and deemed safe for all skin types, but not all skin reacts the same way to certain ingredients. Before using this or any skin care product, one should always check with a specialist to discuss the possible risks associated with the product and its ingredients. Compared to other popular anti-aging treatments, StriVectin-SD is relatively expensive. The product does, however, come in different sizes, and can be considered cost-efficient depending on your individual skin care budget, frequency of use, and how sparingly it is applied. The smaller sized tube for $79 contains 2-ounces, which is already more than the standard 1-ounce contained in most popular anti-aging creams. There is also a 4.5-ounce size available for $139. StriVectin-SD is cost-prohibitive to the average consumer, but if they are willing to pay it, their money goes further than some other treatments because you get more. This is of course assuming the product works for your individual skin type, and doesn’t cause any negative side effects. 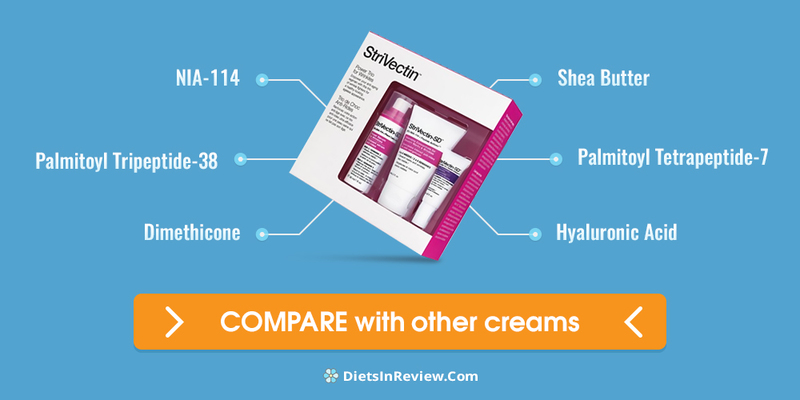 If StriVectin-SD is within your skin care budget and sounds like something you would like to try, be sure to check with a specialist, as some of the ingredients are known irritants and allergens for some skin types. There are few complaints against SkinCeuticals, and most of the online customer reviews are positive. Unlike many other online skin care companies, they do not require enrollment into confusing replenishment services. They are offered, but you must opt-in at checkout, or you can call customer service and sign up. This not only saves consumers from automatic shipping and billing headaches, but it also saves the company from the resulting onslaught of negative reviews and complaints. The StriVectin website is fairly informative and easy-to-navigate, and it provides basic and easily understood information about how their technology works. The company claims 35 years of research and rigorous clinical testing of all their products, but this information is not provided on the website. StriVectin has over 90 patents, however, so users can expect some level of scientifically proven results. The customer reviews of StriVectin-SD are mostly positive, with the main complaints being about the high cost. Many users noted the price is very high compared to other anti-aging creams, but feel the benefits are worth it. Others have also pointed out that you get more than the standard 1-ounce, and goes a lot further, even with liberal use. Conclusion – Does StriVectin-SD Work? StriVectin-SD claims to target and reduce fine lines, wrinkles, and stretch marks with visible results in as little as 15 days of use, and many positive customer reviews support this. Using advanced technology, the product is meant to increase collagen production and protect skin from environmental damage, and there is enough science-backed evidence to indicate the ingredients will produce results. Though it seems to be a great product for fighting the signs of aging and minimizing stretch marks, it is too expensive when there are so many more affordable options available that have proven results. The known irritants and unnecessary fillers are also a concern for those with sensitive skin. There is also too little research on the long term effects of some of the ingredients, and the scary possibility exists of doing more harm than good.